In a move to strategically further lower its carbon emissions, TransLink announced today that battery-powered electric buses will be added to its bus fleet on a testing basis. Metro Vancouver’s public transit authority says it will start a three-month-long pilot project using a battery-powered electric bus beginning this Monday, May 15. It will operate on routes 25, 33, 41, and 84. 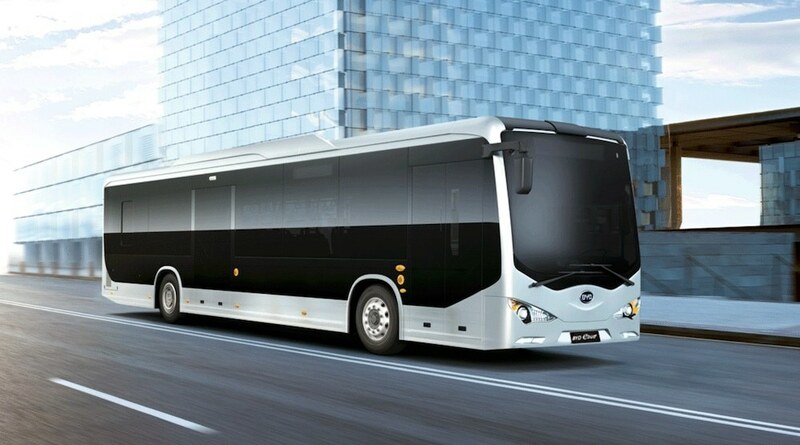 The 40 ft, two-door bus is being supplied by Chinese automobile manufacturer BYD at no cost to TransLink. This specific model of electric bus has a range of approximately 250 kms before it requires a charge, which takes three hours for a complete replenishment. Over the duration of its use in the region, it will operate on bus routes located within the city of Vancouver. The bus has an 80% lower operational cost than standard diesel buses but a higher upfront purchase cost of close to $1 million per unit. It is expected that the lower operational cost will offset the higher upfront cost, and as more electric buses are produced the overall industry cost will come down with economies of scale. Of course, TransLink already uses a fleet of 262 electric trolley buses that run on power fed from overhead wires. The electric trolley fleet is one of the largest of such fleets in North America, and the technology’s use in the region will mark its 70th anniversary next year. “We’re looking at the current innovation in battery electric bus technology that will allow us to reap the same environmental benefits as our Vancouver trolley fleet but will give us more flexibility, enabling us to operate zero-emission buses off wire,” said Kevin Desmond, CEO of TransLink. The region’s transit authority has approximately 1,400 buses, and nearly half of the fleet is comprised of cleaner-technology buses, including 116 compressed natural gases buses, 252 hybrid diesel buses, and the aforementioned trolleys. Two buses will come from Winnipeg-based New Flyer and another two buses from Montreal-based Nova Bus, with each bus designed with a 76-passenger capacity, as part of a wider national battery-powered electric bus pilot project. The project budget covers the acquisition of the buses and the installation of overhead charging stations. Buses will operate on route 100 along Marine Drive between the Marpole Loop in Vancouver and 22nd Street Station in New Westminster over a 2.5-year-long pilot period starting in mid-2018.